I am Ballderdash: Consultation to Cake~ Part Three, The Big Day! Consultation to Cake~ Part Three, The Big Day! Finally the big day arrives, and I have to say, as nervous as brides are on their wedding day, their cake maker won't be feeling much better! 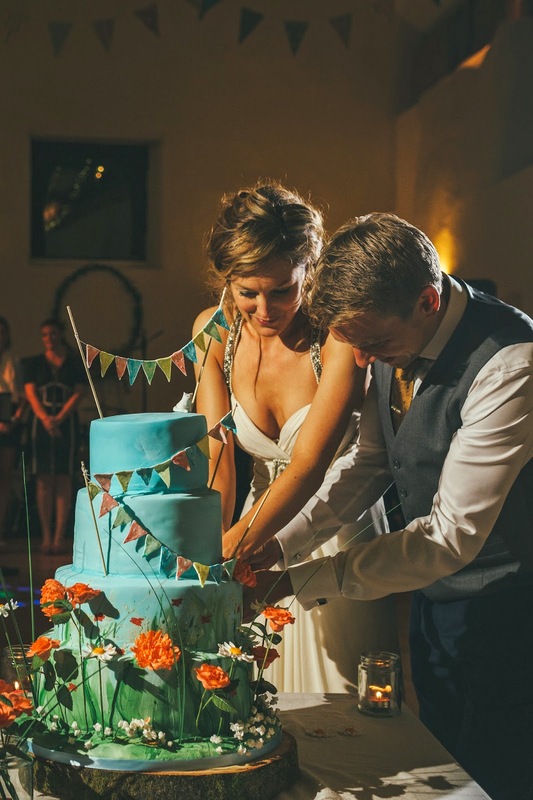 The cake is such a big part of the day and so many couples have a clear idea of their dream cake that the worry that they won't like it is huge! The other problem with cakes is that so much can go wrong! One wrong step on the way into the venue, one obstacle that you don't notice underfoot and, well, crash. *shudder* I actually don't even want to think about it! We assemble our cakes, in part if not in total on site, so that we can achieve the best possible finish and avoid any breakages on the way there. Before I go on (and forget), many thanks to Brett Symes for his fabulous photographs. 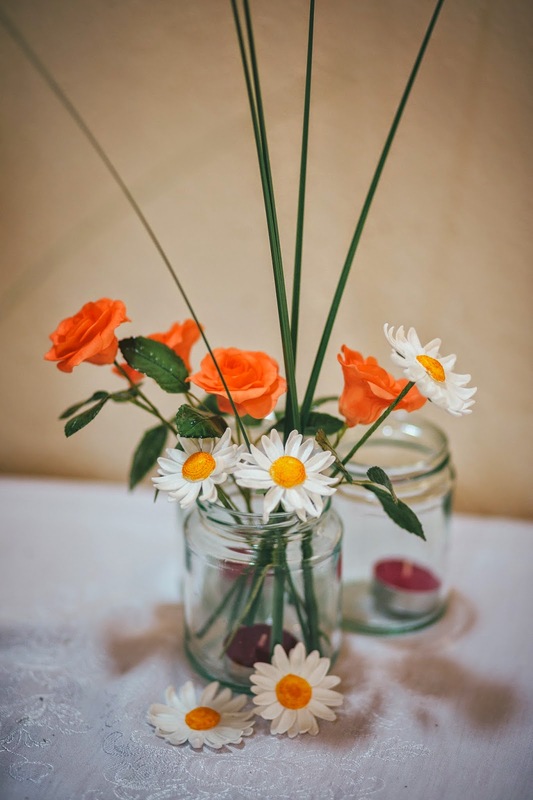 There were some left over flowers which I popped into a nearby jam jar to tie in with the rest of the room. It fitted the rustic theme of the wedding perfectly and as you can see from the photographs, a fabulous day was had by all! 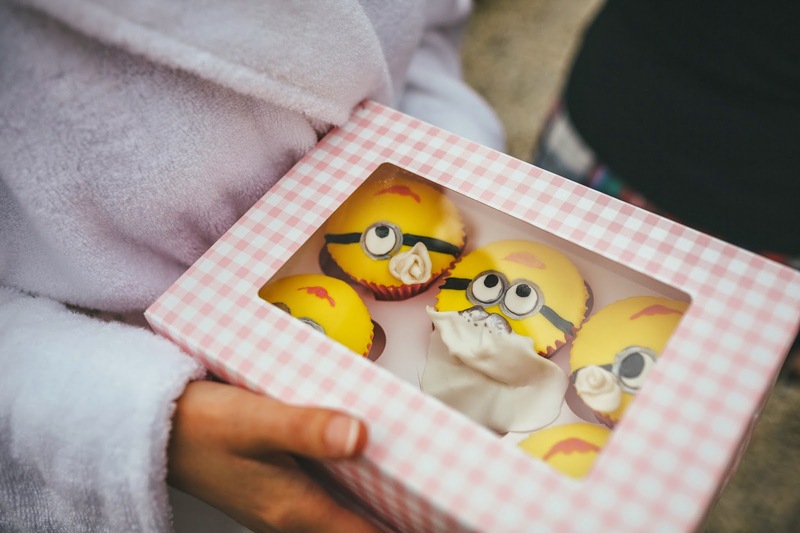 The minions were a little personalised surprise gift to each of the bridal party from Beth and Graeme. 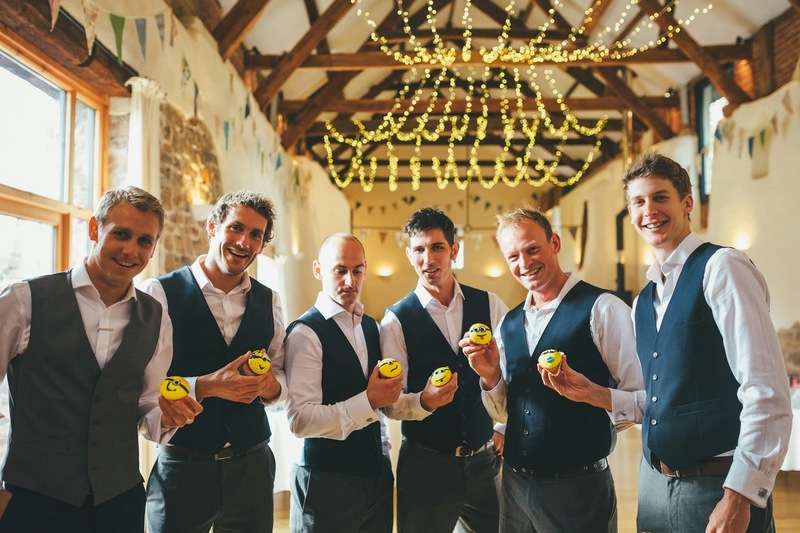 I love the photo of the men with their cakes! I hope this has given you a bit of an insight into the amount of work that goes in to a wedding cake. I love every part of the process, but it's not easy!